Mel Ayton is the author of numerous history books and articles. 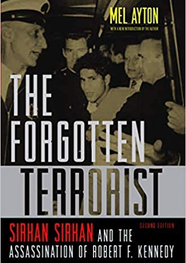 A new edition of Mel Ayton’s 2007 book The Forgotten Terrorist – Sirhan Sirhan and the Assassination of Robert F Kennedy will be published in May 2019 by the University of Nebraska Press/Potomac Books. The new edition includes a Foreword by Harvard Professor Emeritus Alan Dershowitz. It is no mystery why some Hollywood celebrities support the notion of an innocent Palestinian refugee railroaded into a notorious murder case. Many in Hollywood have endorsed and embraced the Palestinian cause mimicking the American left’s decades-old support. Unable to gauge Sirhan’s true character by reading the recent conspiracy books they would naturally assume Sirhan mysteriously acted without a motive. Although many falsehoods about the case have been debunked over the years this crucialexamination of Sirhan’s motives has been largely ignored or overlooked by the mainstream media – motives which convincingly and conclusively show that not only was Sirhan a political fanatic but he also embraced the concept of violent solutions to political problems. Amongst the many descriptions of Sirhan by those who knew him well include his friends Walter Crowe, Lou Shelby and John and Patricia Strathmann, as well as his former boss John Weidner. They all agreed that Sirhan hated Jews and been intense and emotional whenever he discussed the Arab-Israeli conflict. They all agreed he was vehemently critical of American foreign policy regarding Israel. 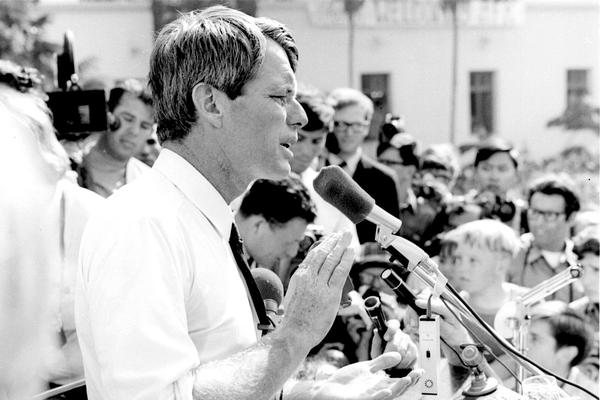 Despite protestations to the contrary Sirhan had clear and defined motives in wanting to murder Robert F. Kennedy and the hatred that spewed forth from his gun can ultimately be traced back to one cause - Palestinian nationalism.